Dead zones are a consumer’s worst nightmare, and they’re often a Dynamics 365 Admin’s too, but with Microsoft Dynamics 365’s ability to work offline on mobile, CRM is more of a dream. Since your Dynamics 365 system isn’t always going to be connected to a WiFi network with a mobile device, Microsoft enables users to configure their systems to be available on mobile devices while offline. This offers up-to-date information to Users no matter the real-world situation and is a great benefit of the system. As more of us use our mobile devices for work, this configuration offers modern functionality that takes the world of CRM to the next level of management. This is an especially great feature for those working remotely, whether they are a technology consultant, salesperson, or have a different role in the company. 1. In your Dynamics 365 system, select which entities are available offline, and then set a filter to determine what data can be downloaded to the mobile device. Please note that if rules are not defined, no data will be visible. 2. All data can be downloaded to the mobile client based on the User’s Security Access. 4. Users’ Security Roles Apply to Data Visibility. 5. Mobile Data is Periodically Refreshed. 6. 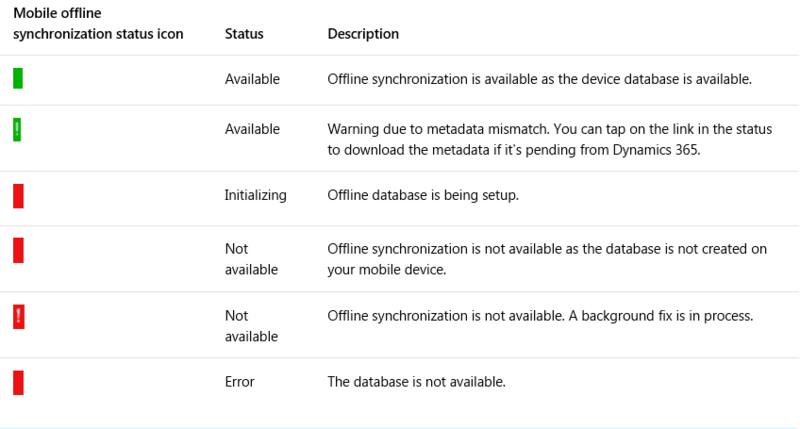 All Data Manipulation while Offline is “Replayed” to Dynamics 365 without User intervention when gaining internet connection. All changes are stored in a queue and replayed in the same order sequence the User entered them in. 7. Users can see when they are Offline. 8. 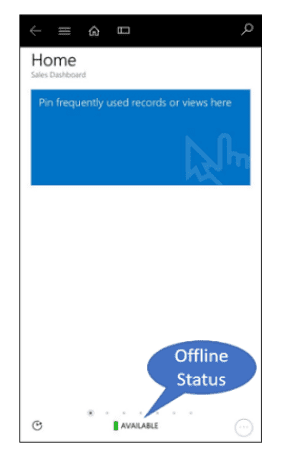 Changes done in offline mode on a mobile device that create conflict with Dynamics 365 are detected and captured in Sync Error entity. You can view and resolve these errors either in Dynamics 365 or on the device. Sync error conflict resolution gives you an option to either keep the offline changes on the device or reject them for changes in Dynamics 365. 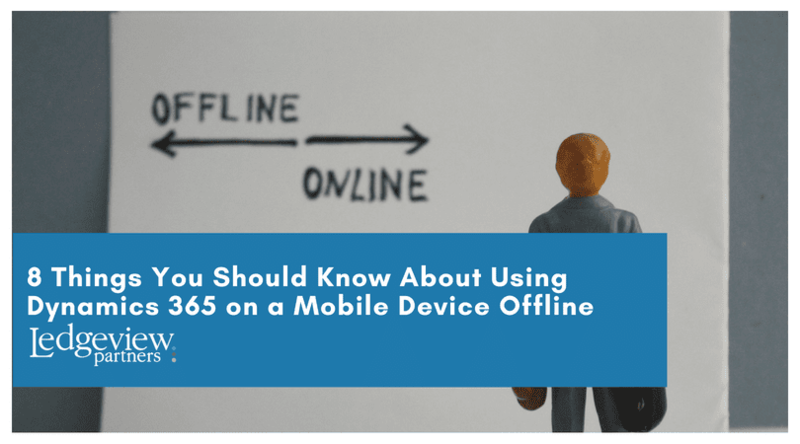 This insight provides great tips for Users on getting started working offline with their mobile device, but to understand its full capabilities and get a demo of working offline with mobile, we recommend you reach out. Our team is here to offer support and guidance with your Microsoft Dynamics 365 CRM system every step of the way. Join our monthly Microsoft Dynamics 365 CRM User Groups for more tips. There may be limitations on who can use online capabilities moving forward. It is unclear if the upgrade is limited to new customers or customers upgrading from 8.2 to 9.0.